We are a tuition-free public school that supports personalized learning in public education. We provide a high-quality standards-based education to Home School families (TK-12) and Independent Study High School students (9-12), including our University Prep High School program. We now serve over 6,400 students across our nine-county service area, making us one of the largest and most stable charter schools in the Sacramento Valley region. 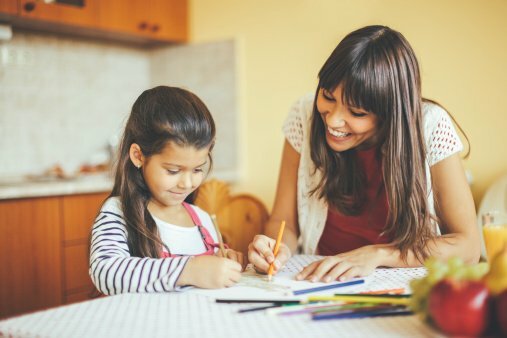 After 19 years, you can be confident that we will help your child succeed. Our credentialed teachers meet with you in your home or community anywhere in the nine Northern California counties we serve, and they personalize your educational plan to help you graduate and succeed as they have for thousands of other Visions In Education students. We are a fully accredited by Western Association of Schools and Colleges (WASC) and proud members of several leading educational and professional associations which set high standards and keep us accountable to best practices. That is correct – Visions In Education is completely free! Plus, for each of our three programs, we provide resources our students can use in pursuit of their educational goals. Credentialed teachers who come to you. 24/7 access to the most up-to-date educational technology. Flexibility in choosing curriculum; flexibility when you study and learn. Academic and personal support services. Additional resources like advanced classes via community colleges. We personalize your educational plan to help you succeed! Visions In Education is a tuition-free public school that provides you maximum flexibility in your education. We provide you with a one-on-one relationship with a teacher who cares about you and your success, and tools to succeed like cutting edge technology, curriculum that meets state standards, and a wide variety of other educational and enrichment resources. Unlike private schools, we are a tuition-FREE school, providing you with all the materials and services needed to succeed. You choose when to study, unlike most schools with set schedules. Our teachers come to you, unlike traditional public and most other charter schools. Your educational plan is flexible and personalized, while traditional and private schools usually have one-size-fits-all. Unlike most schools with large class sizes, we provide a one-on-one relationship with your teacher. We provide a safe, student focused learning alternative.